Uptake of potassium by bacteria is regulated by a single protein that senses the concentration of this cation both inside the cell and in the external medium, and controls the expression of the corresponding transport protein accordingly. 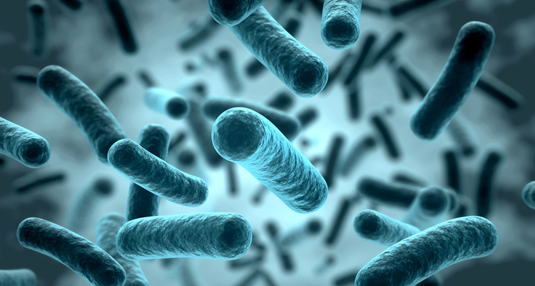 Bacteria can survive in fluctuating environments because they have the capacity to sense and adapt to changes in the availability of nutrients and essential minerals. This task is performed by receptor or sensor proteins located in the cytoplasmic membrane, which monitor environmental parameters and pass this information on to regulatory proteins that mediate the required cellular response. LMU biologists led by Professor Kirsten Jung, in collaboration with physicists headed by Professor Ulrich Gerland at the Technical University of Munich (TUM), have now elucidated the mechanism by which the sensor protein KdpD adjusts the uptake of potassium cations (K+) in response to environmental changes. Strikingly, this receptor is capable of simultaneously sensing the concentration of free potassium ions present both inside and outside the cell – a dual strategy that is particularly advantageous in habitats where these parameters can be expected to vary often. The new findings appear in the journal Cell Reports. Potassium is essential for a variety of cellular functions, such as the regulation of osmotic pressure and intracellular pH. Precise control of the potassium level within the cell is therefore vital for survival. Bacteria must cope with the fact that the availability of potassium in their environment can vary over a wide range. Furthermore, the cell’s demand for potassium depends on its growth rate – rapidly-dividing cells require more of the cation than do slowly-growing cells. Faced with these challenges, the potassium sensor protein KdpD nevertheless ensures that the intracellular concentration of potassium is maintained at the appropriate level. If the external potassium concentration is low, KdpD acts as a “kinase” to rapidly attach a phosphate group to the regulatory protein KdpE in the cell cytoplasm. The phosphorylated form of KdpE in turn triggers the synthesis of a multicomponent transporter (KdpFABC), which mediates high-affinity uptake of potassium into the cell. On the other hand, when the cell is replete with potassium, KdpD functions as a so-called “phosphatase” and removes the phosphate group from KdpE, thus inactivating it and preventing the now superfluous production of the transporter. “Exactly how this dual activity of KdpD is regulated has been unclear,” says Kirsten Jung. KdpD is a transmembrane receptor – a protein that extends through the cytoplasmic membrane – and it carries two spatially-separated binding sites for potassium. One is located outside the cytoplasmic membrane and is accessible only to extracellular potassium, while the other is located on the other side of the membrane and interacts only with intracellular potassium. Hence, the receptor can monitor the levels of the cation present on both sides of the plasma membrane. Jung and her colleagues have now shown that binding of potassium to the external recognition site results in inhibition of KdpD’s kinase activity. Furthermore, if the intracellular binding site is occupied then KpdD switches into its phosphatase mode. “So the cell can activate synthesis of the potassium transporter not only when the external concentration of the cation is running low, but also when the cell’s demand for it rises – simply by tuning the ratio between kinase and phosphatase activities. This mechanism thus allows for precise control of the intracellular potassium level in the presence of fluctuations in both the availability of, and demand for, the ion,” Jung explains. “One finds the same control principle in modern heating systems, which regulate the interior temperature with the aid of internal and external thermometers. But in contrast to the heating system, which employs two separate sensors, nature has invented an all-in-one solution in which both sensor functions are provided by the same protein.” The researchers expect that other receptors controlling important physiological processes also employ this dual-action mechanism, and plan to identify and characterize more members of this class.